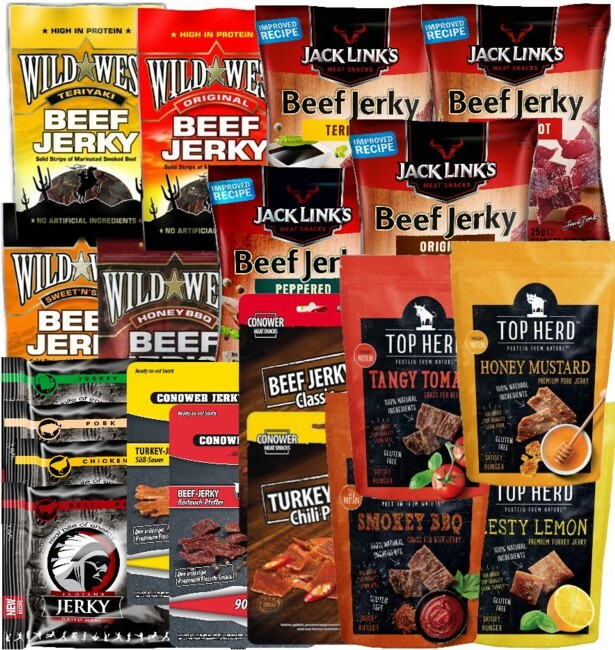 We have put together this package for you, to help make your transition into the world of Jerky as simple and inexpensive as possible. The package offers a price advantage over individual orders and includes the 25 g packages of almost all the products. 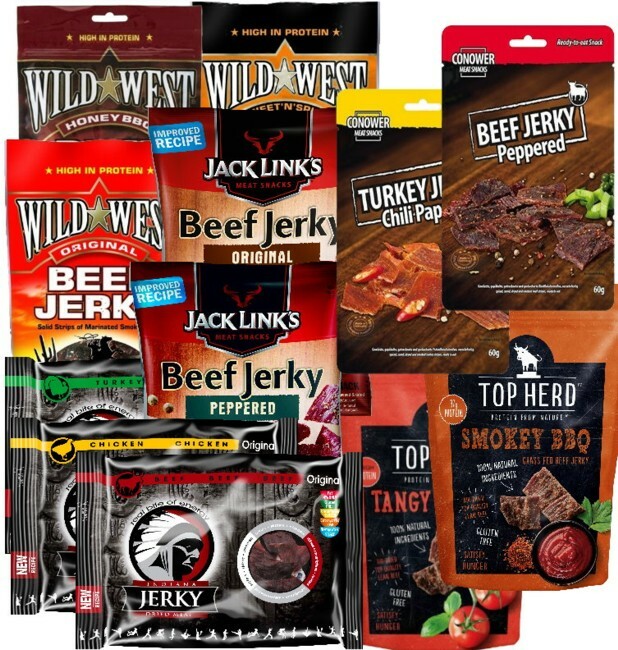 Enjoy the range of Jack Link's, Conower, Indiana, Wild West, Top Herd and Zimbo. 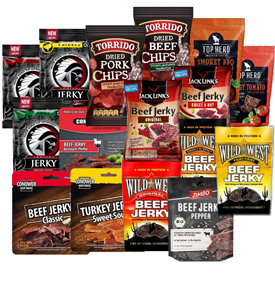 We have put together this package for you to help make your introduction to the world of Jerky as simple and inexpensive as possible. 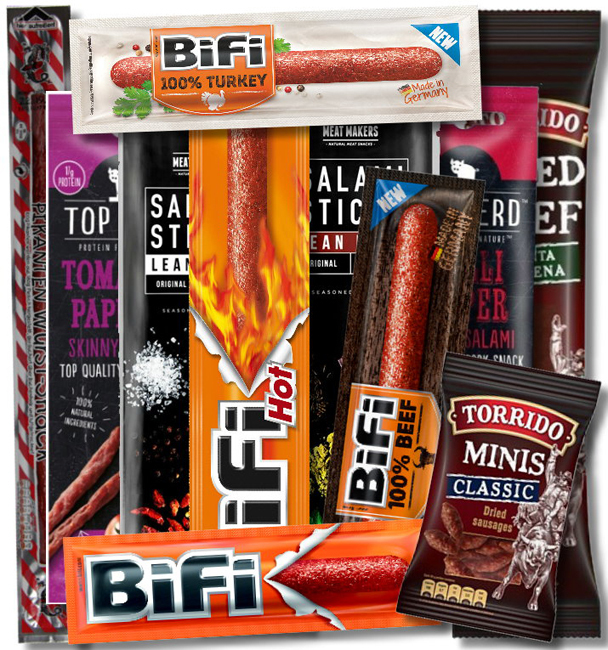 The package offers a price advantage over individual orders and includes the larger package of many products. 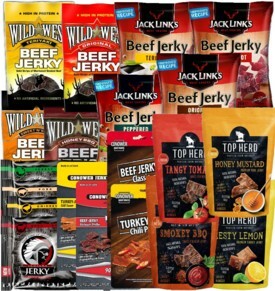 Enjoy the range of Jack Link's Jerky, Conower, Indiana and Wild West. The Maxi Package is for people who have already discovered their love of Jerky but fancy trying something new. 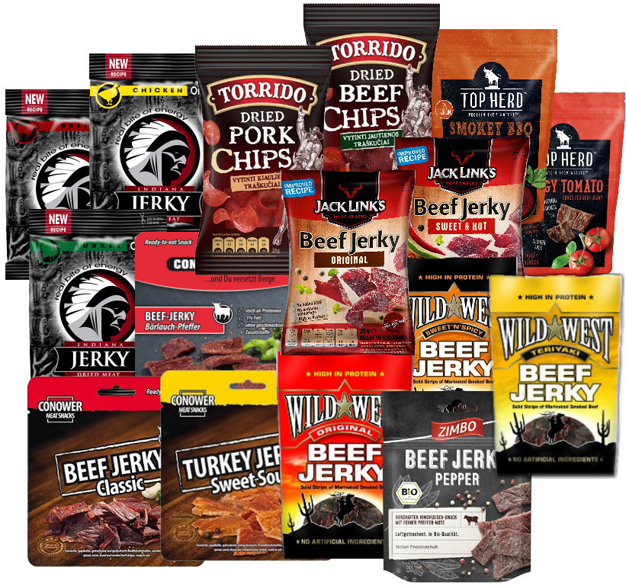 The package offers a price advantage over individual orders and includes almost all the larger products of Jerky House. 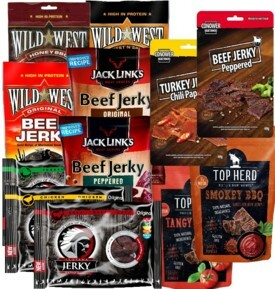 Enjoy the range of Jack Link's, Indiana, Conower Jerky and Wild West. 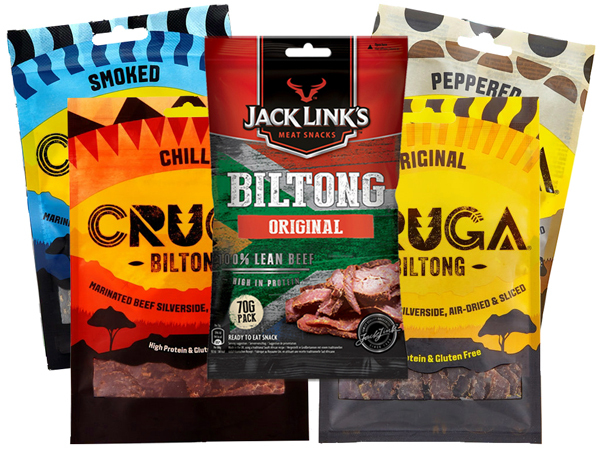 We have put together this package for you to help make your introduction to the world of Biltong as simple and inexpensive as possible. 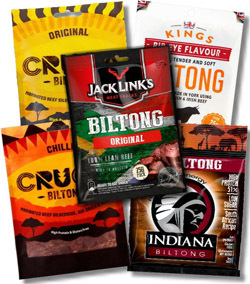 The package offers a price advantage over individual orders and includes all types of Cruga Biltong. This way you can enjoy the complete range of Cruga Biltong at an unbeatable price. 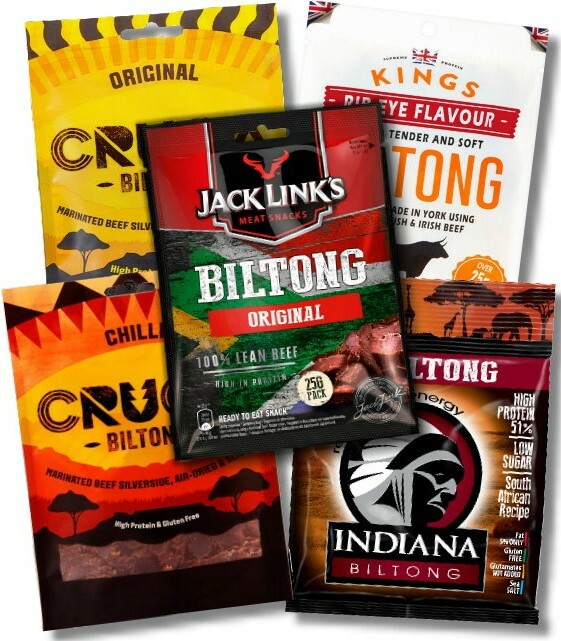 The Maxi Package is for people who have already discovered their love of Biltong but fancy trying something new. The package offers a price advantage over individual orders and includes almost all the products of Cruga Biltong. This way you can enjoy the complete range of Cruga Biltong at an unbeatable price. The package offers a price advantage over individual orders and includes an interesting selection of our wild meat products. 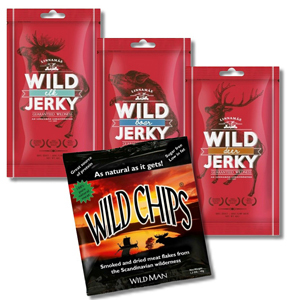 Get to know the wild side of Jerky. 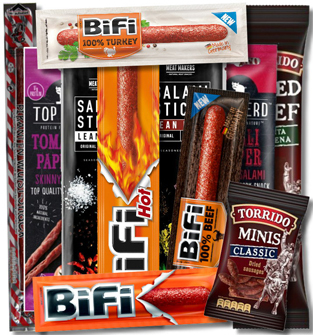 The package offers a price advantage over individual orders and includes a great selection of our sausage products. Get to know different sausages. 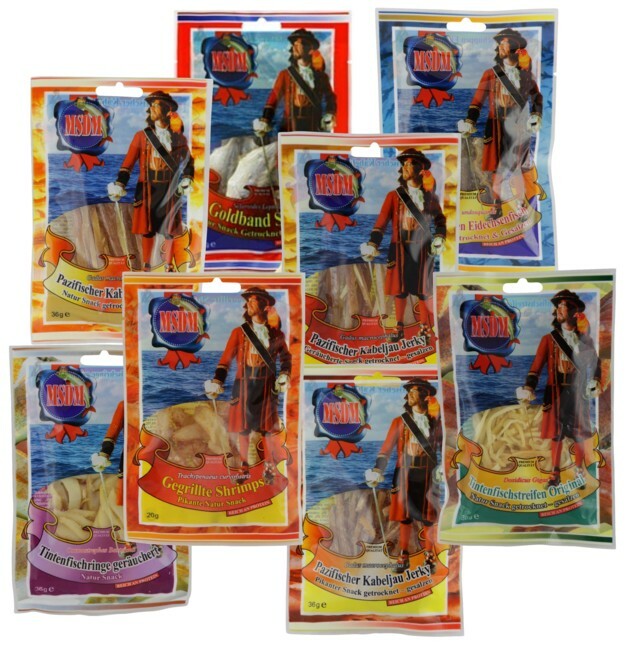 The package offers a price advantage over individual orders and includes all dried fish products of Jerky House. This way you can enjoy all the fish products at an unbeatable price. 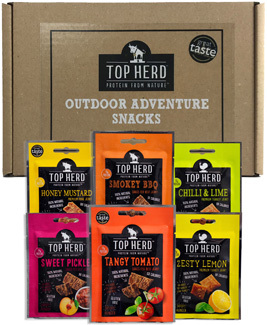 Discover the complete range of our dried fish swarm.